38 - $99.99 Only 3 left! 48 - $99.99 Only 1 left! Only a man of class and distinction could have found this page, as you have managed to find a combination of the two very most tasteful things in life: a man’s suit, and the color yellow. A suit itself is an indispensable facet of men’s fashion, the article that truly distinguishes the cultural elite from the mouth-breathing slobs. Simply put, a suit elevates you to the uppermost echelon of society. We don’t condone feelings of grandeur -- but we understand them, seeing as how we sell this perfect means to attain them. But this isn’t just any old suit. 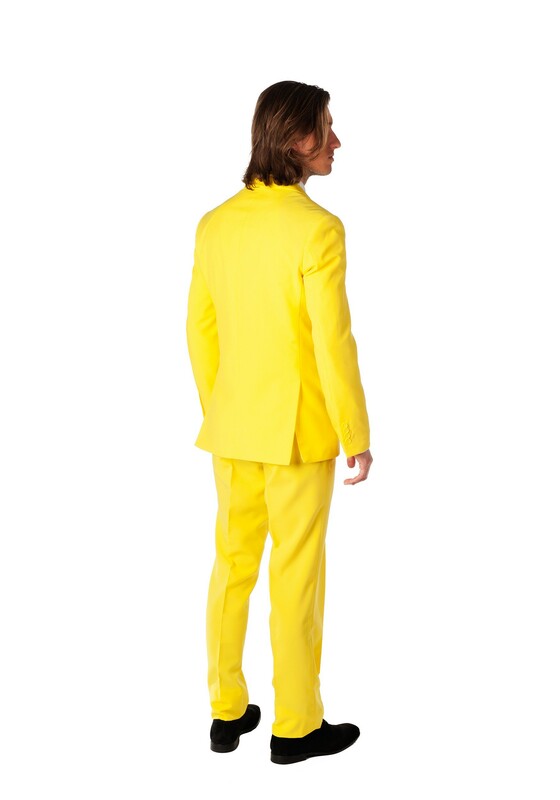 It is a yellow suit, the color of intellect, honor, loyalty, and enlightenment. Yellow has a tradition of being favored by the classiest people ever. The Chinese emperors wore yellow because just as there could only be one yellow sun in the sky, so too could there be only one emperor of China. For the ancient Egyptians, only yellow would do for the color to paint their king gods’ tombs. And gold, that precious yellow thing, has been the symbol of wealth and class the world around for all of known history. 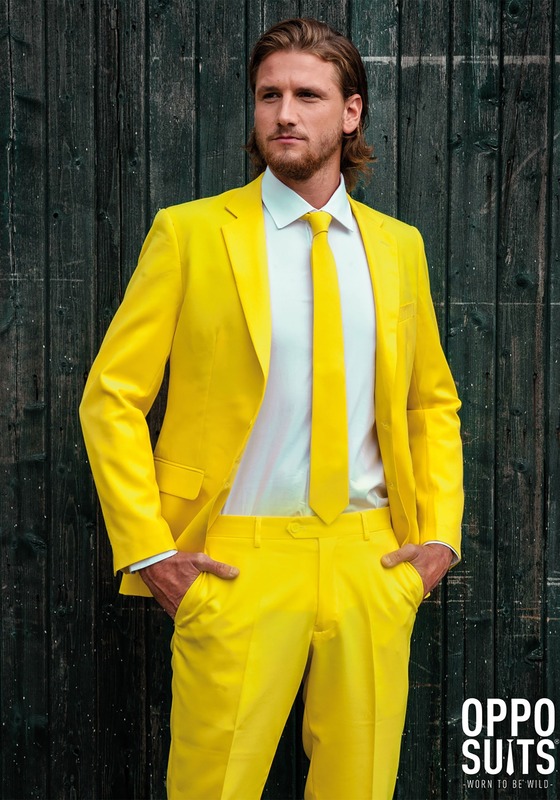 Our Men’s OppoSuits Yellow Suit is far from a novelty. It’s the real ticket, a fully lined and slim-fit affair with matching pants and a real tie. Look how many famous people popularized wearing all yellow: Bruce Lee, Charlie Kelly from It’s Always Sunny in Philadelphia, Big Bird, even The Man with the Yellow Hat from Curious George. You can join this prestigious group of heroes today in style!